John Gocek is a C-level executive offering 20+ years of experience in corporate finance, investment banking and manufacturing operations, particularly in the HVAC sector. Mr. Gocek is the co-founder of Ventrol Inc., a manufacturer of custom air handling equipment and subsidiary of Nortek Holdings. Nortek was an NYSE listed company until August 2004. Mr. Gocek held the positions of CFO and VP Finance and Controller of Ventrol from 1997 to 2007. Mr. Gocek also brings to Sofame, hands-on experience treasury management, IS/IT and management consulting. He began his career at Marine Midland Bank in New York in money markets, moved to Montreal with Republic National Bank of New York, and then moved to lending with the Business Development Bank of Canada. Years of professional development have lead to roles of increasing responsibility in finance, planning and forecasting, business strategy, and executive management. Mr. Gocek holds a bachelors degree in Honours Economics from McGill University, and completed Management Associate training on Wall Street with Marine Midland Bank in 1985. He is an advocate of performance-based metrics and web-based management systems and is a mentor, skilled at coaching others to understand the organization’s needs and to act constructively. John Gocek was a Director of the Corporation from October 24, 2007 until May 6, 2009. Luc Mandeville is co-founder of Sofame and served as its President for over 20 years. He has been involved in every patent creation developed by Sofame. He is an owner in every one of these patents. 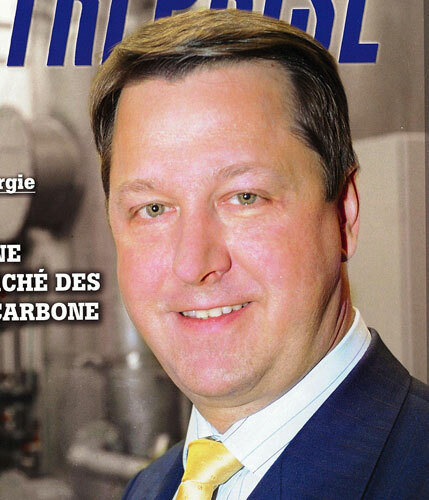 Graduated from “École Polytechnique” of Montreal in 1973 in Industrial Engineering, he worked for 10 years in the water treatment field for Degremont before starting Sofame. Mr. Mandeville has developed markets in North America and Europe for Sofame products since the Company’s founding in 1984. He has over 25 years of experience in the energy field. 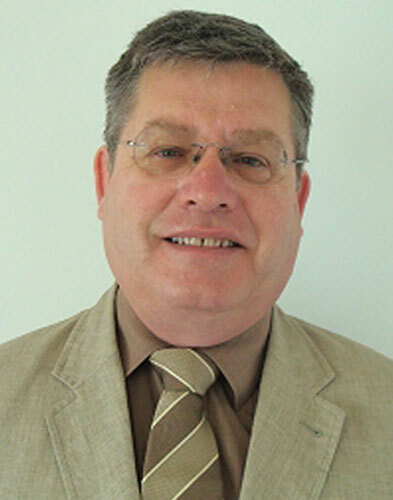 Mr. Robert Presser is the Vice President of Acme Engineering Products Ltd., where he is responsible for the recruitment, training and support for Acme’s worldwide network of over 100 manufacturer’s representatives. Mr. Presser holds an MBA from the Richard Ivey School of Business at the University of Western Ontario and a bachelor’s degree in business from l’École des Hautes Études Commerciales at the University of Montreal. Prior to returning to Acme in 1993, he was a management consultant working on corporate governance and merger and acquisition mandates for large Canadian corporations. In 2007 Robert was appointed to the Board of Directors of Defense Construction Canada and became Chairman of the Board in June, 2008. Defense Construction Canada is a crown corporation that provides project management and administration services for all infrastructure projects required by Canada’s Department of National Defense. Mr. Presser is an experienced project manager, covering mechanical, electrical and electronic engineering disciplines for Acme’s contracts with international engineering firms like SNC Lavalin and Bechtel, and has presented papers and seminars on Acme’s process technologies at technical conferences in Europe and North America. Mr. Samaha is the Chairman and CEO of the SOFFIMAT SA, which is a Paris-based private corporation active in energy conversion and power generation in Europe for the past 20 years. Mr. Samaha is an electrical engineer trained at AUB and Berkeley, and co-founded Soffimat in 1988. Soffimat has participated as either contractor, operator, owner or promoter in power projects representing over 1.4 gigawatts of installed capacity of different energy technologies, including gas turbines, gas and diesel engines, microturbines and thermal energy recovery systems. Since 1998, Mr. Samaha has been actively developing Soffimat’s strategic focus on renewable energy and innovative concepts to save energy and increase fuel efficiency. He has personally championed the development of over one hundred megawatts of biogas and biomass power plants as well as environmental friendly public transport vehicles, including an electric car called Bi-Scot, the first electric vehicle certified roadworthy in France. Mr. Samaha has also concluded the acquisition of over two dozen businesses and has built an extensive business network across Europe in the energy field. Mr. Ahmed is currently President and General manager of TMI Climate Solutions Canada, which is a global provider of highly-engineered Custom and Semi-Custom IAQ (Indoor Air Quality) and HVAC (Heating, Ventilation & Air Conditioning) products and services catering to the Building Systems, Food Processing, Medical, Petrochemical, Recreation, Hospitality, and Telecommunications industries. Previously, Mr. Ahmed served as Chief Operating Officer at Dectron Internationale, and President & General Manager of Ventrol Air Handling Systems Inc, subsidiary of CES Group and Nortek Inc.
Mr. Ahmed completed his mechanical engineering courses at age 20, he began his career in a paper mill, before discovering his lifelong passion — the HVAC industry. Rapidly promoted to sales manager for an HV and plumbing distribution company, he secured distribution rights for air conditioning equipment lines, and the organization later became the largest HVAC distributor in Canada. Sham then joined Westinghouse Electric Corporation as the company’s first applied product sales manager for Canada. At the time, Westinghouse’s air conditioning division was a relatively unknown manufacturer of centrifugal chillers and high temp centrifugal water-to-water heat pumps. Sham spearheaded a new high pressure centrifugal compressor technology initiative that quickly generated several millions of dollars in sales. When McQuay Perfex Inc. acquired Westinghouse, Sham became the founding General Manager and vice president of McQuay Canada Inc. In addition to securing CSA and ASME product certification, he built a coast-to-coast sales organisation that became recognized as one of North America’s best in terms of talent and engineering expertise. Sham also engineered the acquisition of several service companies across Canada to support the product line in major cities. Within 10 years, McQuay reached $45 million in sales and became the top selling applied products company in Canada (ARI ranking). Growth for the company continued when he enlisted a local entrepreneur to manufacture ventilation, heat recovery and air handling equipment for the Canadian market. This local company was later acquired by the Carrier Corporation for several millions of dollars. In the 1990s, Sham developed a business plan to leverage the dot-com boom and bring custom air handling solutions to the health care sector. Ultimately approved by the chairman of Nortek, a NYSE public company, he received the green light to build Ventrol Air Handling Systems. Sham leveraged his sales abilities and strong business relationships to launch the venture without any investment from Nortek, growing the new business to $40 million in sales by the fourth year. Under Sham’s leadership and expertise for over 14 years, Ventrol evolved into a tier-one custom air handling company by 2011 with brand recognition across North America. Brian J. Dillon has over 30 years experience with Software Systems in the Insurance, Pharmaceutical, Pharmacy and Healthcare sectors, Mr. Dillon has been the driving force and founder of a series of successful start-up companies in Canada (QuadROM Software Systems) and the US (KWS&P Technology Solutions and Intercon Systems Inc.) with successful transitions in all cases. As a result of those transitions he has had the pleasure of working within Fortune 30 companies in senior management roles both domestically (McKesson – US / Philadelphia) and internationally (Cegedim / Paris and Sao Paulo). The mission of each company had focused on delivering advanced sales & marketing systems, technology platforms and related services to the sectors stated above. More recently, 2007 to present, Mr. Dillon has been involved in Business Development and senior level consulting in the US (MarketBridge and PSKW) and Canada (Omnimed.com, Visio Energy, ZoomMed).